In this article, industry manufacturers answer common questions asked by in-house custodial managers. As flooring types and finishes evolve and change, how too have floor machine pads and brushes progressed over the years? In large part floor finishes have gotten softer and floor machines are running faster. This challenges floor machine pad manufacturers to modify many existing high-speed burnishing and polishing pads in an effort to minimize the potential of leaving swirl marks on a floor because pads are too aggressive at the speed desired with a softer floor finish. We all battle a changing market and constantly test for optimum conditions. — Rory Beaudette, Vice President of Sales, ACS Industries Inc., Lincoln, R.I.
We manufacture several different types of floor machine pads for the different jobs a customer needs done. As finishes have evolved we as pad manufacturers have evolved, as well. We used to make one stripping pad but now have three. • How many coats of finish are you removing? • What type of finish is being removed? • Has the finish been repeatedly burnished? • Does it have a earlier underneath it? Etc. I cannot stress enough the importance of selecting the best burnishing pad that is compatible with the finish you are using. We test and recommend the proper burnishing pad to compliment various finishes on a regular basis and then update our recommendations as finish formulas change. — Randall Flowers, Vice President of Corporate Accounts, ETC of Henderson Inc., Henderson, N.C. Newer flooring types require a different cleaning solution, which will also require a different floor machine pad technology. An example is a wood floor that has created a demand for sand screens. Now we are seeing an increase on the use of natural stones floors, so we offer specific floor pads for this type of floor. Or even market tendencies influence the product development, such as the demand for sustainable solutions; the market then evolved to use more diamond pads, maroon stripping pads and recycled fiber floor pads. Floor finishes seems to be evolving to harder, longer wearing products. Floor finish manufacturers are producing finishes that needs 2 to 3 coats instead of 5 to 6 coats used previously. We are constantly testing the main floor finish brands with our products and we noticed this change particularly on creation of shine, and our products evolved to be able to work with this new floor finish tendency. We also had to adapt stripping and scrubbing to be able to perform well with them. — John Miller, Vice President of Sales and Marketing, Americo Manufacturing Co. Inc., Acworth, Ga.
Years ago, there were pad recycling programs where distributors/manufacturers would take used pads, refurbish them for a small fee and then give them back to the department for continued use. With green and sustainability a strong push in the industry today, why is this program no longer offered? A recycled floor machine pad, where someone picks the pad up, cleans it and supposedly reapplies a resin to prolong the life of the pad never worked and those who tried it realized why. Floor pads are never as good as when they come straight out of the case from the manufacturer. Resins and abrasives were not duplicated and therefore caused much more damage to the finishes they were supposed to be caring for. 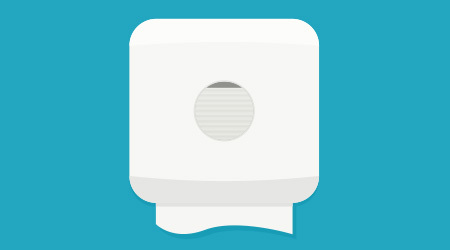 By rinsing the pads out and hanging them to dry, a quality pad can be nearly completely used up. As far as green sustainability, use a product that has pig bristle, which is biodegradable, which is far more "green" than a recycled product. When we think of green, we cannot relate it to only recycling or refurbishing of things. If you think about the whole process to do that, for example, the logistics that would involve using more fuel for the pickup of products and the potential use of strong chemicals on the recycling process, therefore you realize that this solution may not be the best option. Today we have available floor machine pads that are manufactured with PET fibers originating from post industrial and post consumer waste, mainly from recycled soda and water bottles. This is the smartest and most sustainable choice on the floor pad market since you are taking out hundreds or thousands of plastic from landfills that would be impacting negatively our environment. When disposing a used floor pad we recommend incineration if available.